(Newser) – A Minnesota woman who struck and killed a man while allegedly texting and driving will spend just four days in jail over two years. 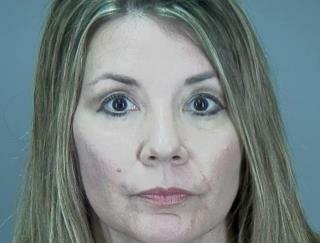 As part of a plea deal, Le Sueur County Judge Mark Vandelist on Monday sentenced Susan Ann Russo to four days behind bars, 40 hours of community service with Minnesotans for Safe Driving, and two years of probation for reckless driving, reports the Minneapolis Star Tribune. Russo, 48—who killed school bus driver Joseph Tikalsky, 79, as he was getting his morning paper on the road outside his home on Oct. 28, 2015—must also pay a $3,000 fine to be used to erect a billboard warning about distracted driving. She'll spend two days in jail beginning on the anniversary of Tikalsky's death, and again on the same date in 2017. I can't tell you how many times per week I get stuck behind some car swerving left to right, going slow, because they're texting. I live close enough to work that I could ride my bike, and I wish I could, but idiots like this are the reason I don't. Pure nonsense, our justice system is a joke.